Nestled in the heart of West Chester, Pennsylvania, I created dewStrings, the Academy. Geared toward students of all ages and abilities, my violin and viola students receive personal instruction coupled with a studio class each month. In this setting, they have the opportunity to rehearse and perform with each other, a piano accompanist, and work in collaboration with students of Friedlander Piano Studio. My philosophy of dewStrings is to provide private instruction, along with the combined effort gained within the studio class as a proven means to greatly enhance each of my student’s personal playing ability, as well as his or her enthusiasm for making music. I have been fortunate to provide private instruction for the violin and viola throughout Pennsylvania and Maryland for well over a decade. My personal studies and professional experiences are key in my ability to present my students with learning and performance opportunities throughout Chester County and beyond. These opportunities for personal artistic expression and technical development will mold the next generation of young musicians, teaching them how to take all of their hard work and dedication out of the practice rooms and share their self-expression and love of music with the community, all while having fun! 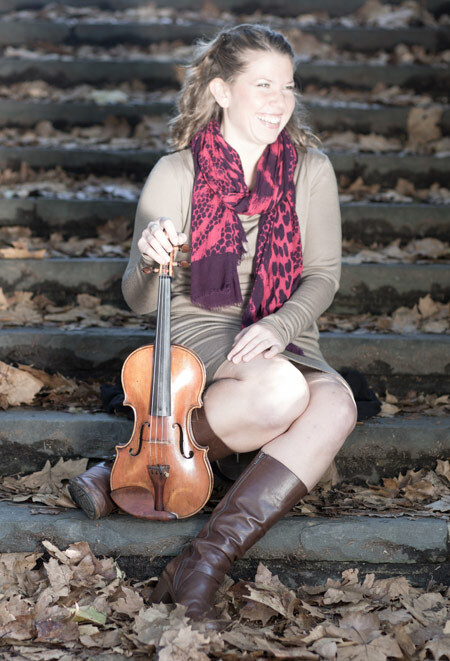 I am currently an avid performer as Associate Concertmaster of the Mid-Atlantic Symphony Orchestra, Principal Second Violinist of the Lancaster Symphony Orchestra, and First Violinist of the Indy rock group, the Azrael String Quartet and draw upon these experiences to bring inspiration to my students. I have been a faculty member at the Darlington Fine Arts Center, The Music Centre, Blue Mountain Academy, and the Olenka School of Music in Maryland. Whether you’re learning to play the violin or viola, or your dreams are to become a more seasoned violinist or violist, I hope to inspire you to embrace music as a medium for self-expression and to help you discover the same beauty and joy that music has brought to me my whole life.